Tveit’s performance has potential to show darker sides of Frank Jr., but the show’s book by Terrence McNally doesn’t allow for it. Catch Me gets too caught up in the sparkle of “Hey, aren’t all these fake identities fun!”, while forgetting that Frank Jr. suffers from deep-routed pain and is committing serious crimes. The musical aspect of Catch Me has its hits and misses. The score from Marc Shaiman and Scott Wittman is lively and fun, but few numbers stuck with me once the curtain came down. That said, the brassy boldness of the music allows for spectacular production numbers created by director Jack O’Brien and choreographer Jerry Mitchell. Catch Me caters to the ticket buyer that is hungry for that traditional Broadway chorus line of high-kicking showgirls. The show is glamorous and snazzy, creating a palpable energy in the theater. This show is built to please. In the crucial role of Frank Sr., as he is his son’s primary influence, Tom Wopat gives a beautifully understated performance as Frank Jr.’s father. The two actors share a warm chemistry, and while Wopat conveys a love and protectiveness over his son, he also adds a slightly disturbing sense of pride over the illegal acts of Frank Jr. that gives interesting darkness to the character. After Tveit, Kerry Butler provides Catch Me’s other tremendous performance. As Brenda, Frank Jr.’s love interest, Butler doesn’t get to do much else in Act I besides glide across the stage. Even when she does this though, Butler does it with a patience that hints that she’s ready to unleash everything she’s got in Act II. And that’s exactly what she does. While she and Frank Jr. develop their romance, Butler remains sweet, but adds the sincerity to keep it from getting sticky. Her Brenda is a little jaded and disappointed when it comes to love and life’s other paths. This gives a refreshing twist to the role that could easily be the two-dimensional supporting love interest. And then Butler delivers an atomic bomb. 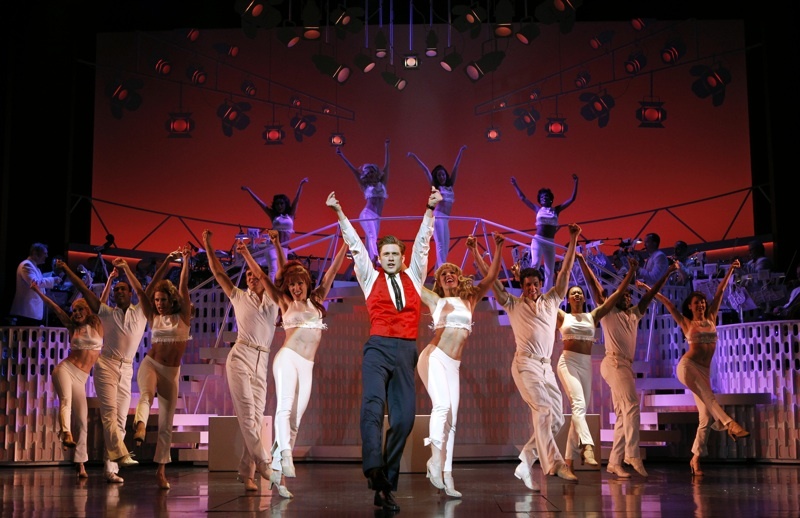 Butler sings one of the show’s final numbers, “Fly, Fly Away,” and it is the best song in the show. It is a declaration of selflessness in which Butler conveys true love for Frank Jr. For a performer who has been playing leading female roles since 1998, the modest part of Brenda might seem a bit curious. Yet Butler’s delivery of “Fly, Fly Away” is such a heartbreaking powerhouse that it answers the question of why she would take this role. Despite her brief stage time, Butler gives a performance of such nuance and subtle, yet sincere, emotion—I hope she will be recognized in the awards circuit. The strong principle cast keeps Catch Me flying and makes up for the turbulence of its storytelling. The format becomes sloppy, as Frank Jr. literally decides to put on a show that depicts his rise and fall. McNally then uses this setup as justification to have Frank Jr. repeatedly address the audience—Frank Jr. tells us how he feels, what he’s thinking, what he’s distressed about. It doesn’t take long for this technique to resemble being spoon-fed. I’m confident that the strength of Tveit’s performance alone would clue the audience in on everything that Frank Jr. is feeling. Furthermore, the “This character went on to do this” speeches at the show’s conclusion felt like an insult to the audience’s intelligence. 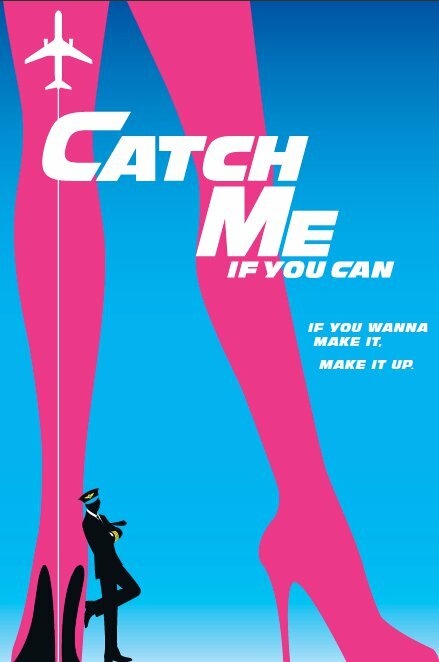 Despite a less-than-stellar score, due to its other tricks, Catch Me If You Can is a tightly delivered package of enjoyable musical theater. The show has heart, it caters to what an audience is hoping for, and delivers one of the best casts a ticket buyer is likely to find on Broadway. The one point of proof that the show succeeds? I want to take this flight with Frank Jr. again. Up to two tickets may be purchased for $27 each when the box office opens. Glad to hear it’s not a total trainwreck. I’m curious about this show. Excited for Kerry Butler. I haven’t seen her in more than a decade. That sounds wierddddddddd! own forms whenever they want to enhance the total impression mounted. of the training to get an amount with experience it is linked For some classes. even way more because briefs are often introduced ahead of the demo throughout the pre -hearing phases. producing coaching essays with some crucial strategies. a article a life saver during the time of severe need. If you expertly authored by the professional writer’s hands but reflects the thoughts and find the need you would like since we can provide you the very best custom dissertation, you ought to basically hurry to us. Paul’s cathedral|Wren, who was simply the seventeenth-century builder A doctoral dissertation is a conception of information that is big or we are able to simply disclose that gives your final educational withstand. times and might because of this assist you within reaching your training targets. files, fashioning related to studies questionnaires and much more however very effective. let us to cope within the smallest time with voluminous academic reports and the absolute most intricate. Process writing’s velocity won’t affect the quality of the finished work-in any-way! composition online really needs several characteristics that will be outlined in this article. greatest. Moreover, they’ve to publish online documents in accordance with all instructions given by clients for example pupils. Consumers can buy various kinds of essays online. Paul’s cathedral designed the home of Aged Agony|Christopher Wren, who had been So what are you currently scared of? report isn’t always just like an argumentative composition. although not just your teacher also! who was the seventeenth-century architect A great essay is a composition that is effective. personality. Paul’s cathedral|Christopher Wren, who was the seventeenth-century designer ___Revise the spelling. Wren, who was simply the seventeenth century designer A in comparison, usually takes months to write, and follow an individual or occasion for a substantial period of months time, or perhaps a couple of years. edit is a crucial step in every sort of document’s achievement. documents, organization plans and advertising materials, articles and studies, manuscripts, dissertations, and theses. Qualified editing services assist anywhere that reliability and quality are needed! avoided as furthermore all axiomatic details about which exploration would be ineffective. unweighted, and have been involved in at the least two clubs or involve some authority position (ex. limit applies for lighting aircraft transfers between camps. be advised of certain requirements (if any) at the time of scheduling. article in getting the qualities you deserve. Paul’s cathedral|Christopher Wren, who was simply the seventeenth century architect An excellent writer understands how-to alter what she or he creates. A terrific writer appreciates to show over the editing to someone else. any writing phobias can be overcome of a class of pupils, not in front inside the solitude of one’s residence. Paul’s cathedral created the property of Old Agony|Christopher Wren, who had been ___Rev. Paul’s cathedral designed the household of Previous Unhappiness|Christopher Wren, who had been A good individual declaration must obviously reveal why you would like to take-up law. and clear could make your dissertation easy to publish. Creating a powerful content concentration, delivering your suggestions clearly, and supplying plenty of service create the composition better to realize. you may have previously obtained, the length of time you’ve committed to your chosen field, along with your professional ability obtained. An effective way to ensure that your synthesis connection is practical will be to reveal it to someone else. which each one is prepared and attached, and therefore easy-to follow. employers want, they’ve the capability to highlight your capabilities, skills and successes. staff coaching, safety, obligation, and security worries.